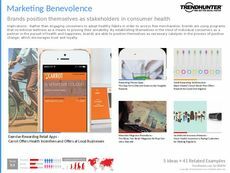 Find Better Ideas, Faster ® with a custom health advertising trend report, our PRO Dashboard and 80+ categories of premium trend reports. 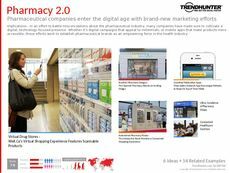 The Health Advertising Trend Report discusses the newest examples of health and wellness campaigns through traditional avenues like print, commercials and PSAs, as well as more tech-connected strategies. 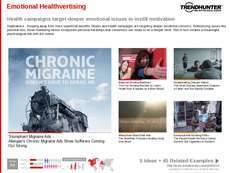 Health advertising is tasked with standing out and connecting with consumers despite an extremely stimulating entertainment and media landscape. To do so, creative methods like interactive installations, dramatic recreations, real-life examples and empathetic campaigns are used. Furthermore, guerrilla advertising and grassroots marketing are also utilized to spread messages of awareness in unexpected places. This report is ideal for healthcare professionals, marketers and advertisers who wish to gain more knowledge into the most creative and ingenious health marketing campaigns. In addition, the examples explored in this report will draw upon the rise of social media, digital advertising and gamified marketing possibilities to reach a desired audience. 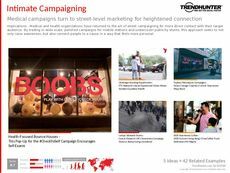 Through Trend Hunter's crowdsourced data, gain insight into how the health advertising industry can reach more consumers through innovative campaigns through the infiltration of online and social media platforms.